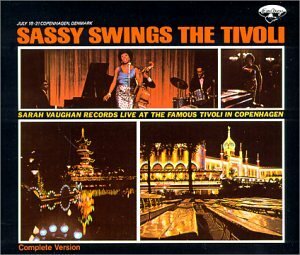 Sarah Vaughan records live at the famous Tivoli Garden in Copenhagen. July 18-21, 1963, Copenhagen, Denmark. Complete Version. Sarah Vaughan (vocal). Kirk Stuart Trio: Kirk Stuart (piano), Charles Williams (bass), George Hughes (drums). Produced by Quincy Jones.